Because of our duster’s “three finger” technology, it has instantly become the perfect venetian blind duster and shutter cleaner! Why bother meticulously dusting each and every blind slat when you can clean three at a time with our duster? This will not only save you time, but our microfiber blind cleaner fingers will ensure the surface is left clean and dust-free! 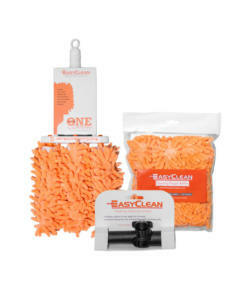 Whether you’re looking for a plastic or wood blinds duster, the Easyclean Duster is safe on all surfaces. You can even use it on metallic surfaces like chandeliers and picture frames without having to worry about any damage occurring. Because our blind cleaner tool is so gentle – you’ll find yourself using it in every room of the house! 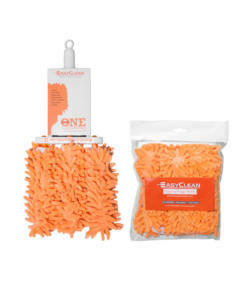 Whether you need one, two, or three fingers on your blind duster - we've made it easy to customize the way you clean them! And when the Easyclean blind cleaner dusting fingers get dirty just simply remove the microfiber sleeves and pop them in the wash! Stop wasting time cleaning the old fashioned way and revolutionize the way you’re going about household chores! Hi Brett, We used the dusters yesterday at our office…lots of brown wooden blinds to deal with that go from floor to ceiling. I had an extension pole, other ladies just used them without. They definitely work better, easier and faster than the way we have been doing them blind by blind. This was our first time and we were getting used to them but I feel it will cut our time down more than half. Overall, I love it. It will cut our time down..save our neck and shoulders and clean the blinds way more thoroughly. Plus they wash up nice and allow many uses which make me very happy with this purchase!!! 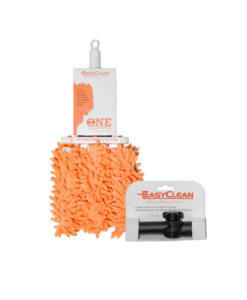 I saw Easy cleaner on website as I was searching for a company to come out and clean all my blinds in the house as I hate to do the job as it is very time consuming. I have purchased other products at the grocery store and still not very happy. The design of the Easy Cleaner is great. I wish I had known about it sooner. It is not as time comsuming now to tackle the blinds and I actually enjoy it. Wish I would have thought about the design.! !